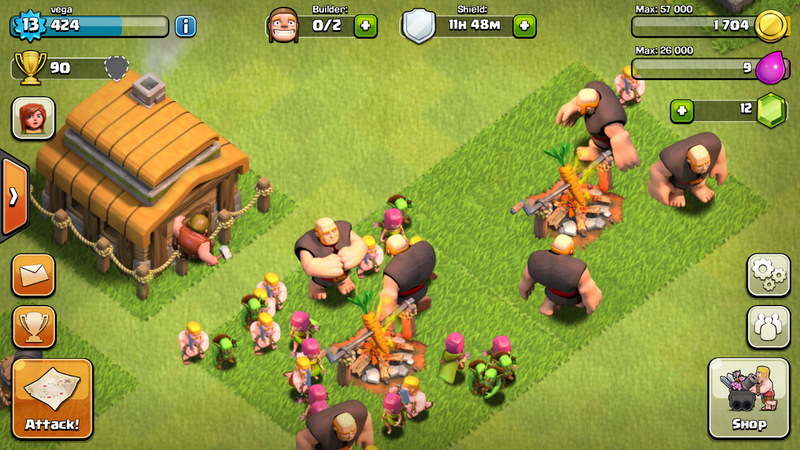 Clash of Clans (CoC) may go down in history as a game with brilliant online RTS elements, but it will also be equally remembered as one that subconsciously sneaked into your psyche and entrapped you in its IAP bait. This combat strategy game plays much like a Jekyll and Hyde. When its good its brilliant, and when its bad, its evil. 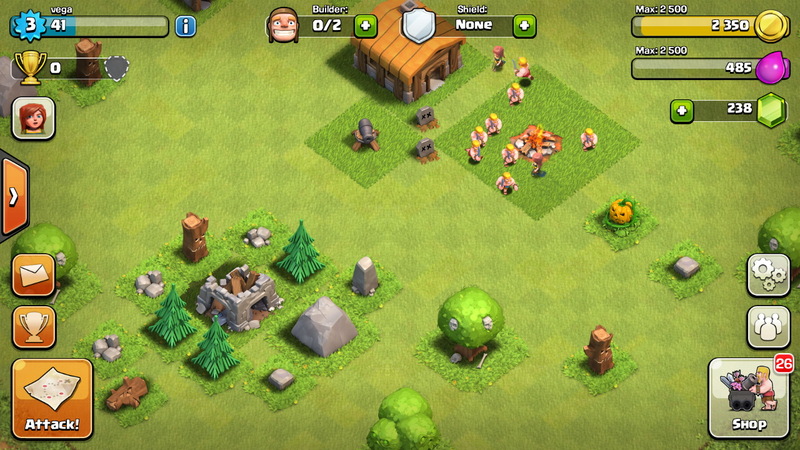 For the uninitiated, Clash of Clans puts you in charge of a sparse and unkempt village and asks you to turn it into a rich and resourceful place teeming with gold and elixir mines, army camps and what not and challenges your inner barbarian to go out and plunder more territories. 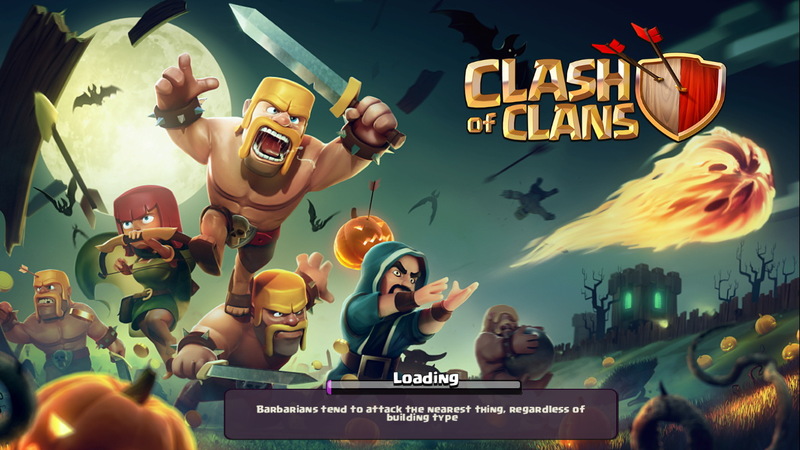 Once you start playing CoC, you understand why so many people are addicted to it, but given the outrageous limitations of the game, it remains difficult to understand why the game continues to be loved by so many. 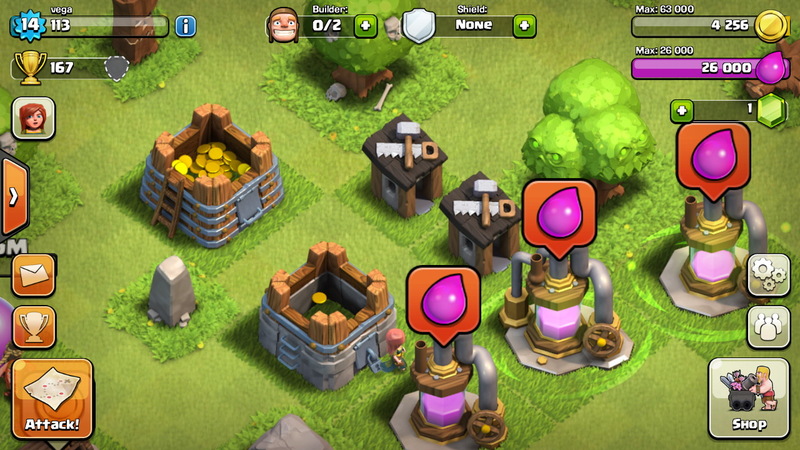 CoC starts off with pretty much the standard town building criteria; a handful of currency: gold coins, elixir, and gems; and a pretty female guide showing you the ropes. After playing a ton of combat strategy games, you pretty much know how to go about things right away. 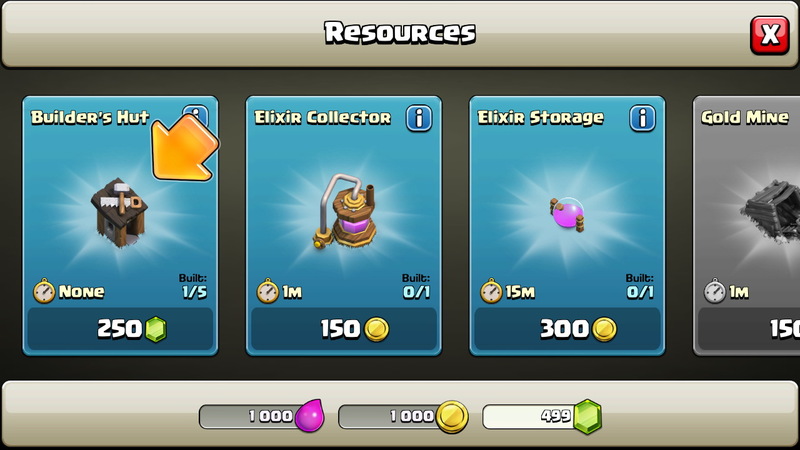 You set up your army barracks, train your heroes, send them to boot camp, and build gold and elixir mines to harvest the resources you’ll need to get the job done. All these activities are time bound, so with the initial free currency and plenty of good cheer you set into a song and dance routine harvesting, training, upgrading, and so on. 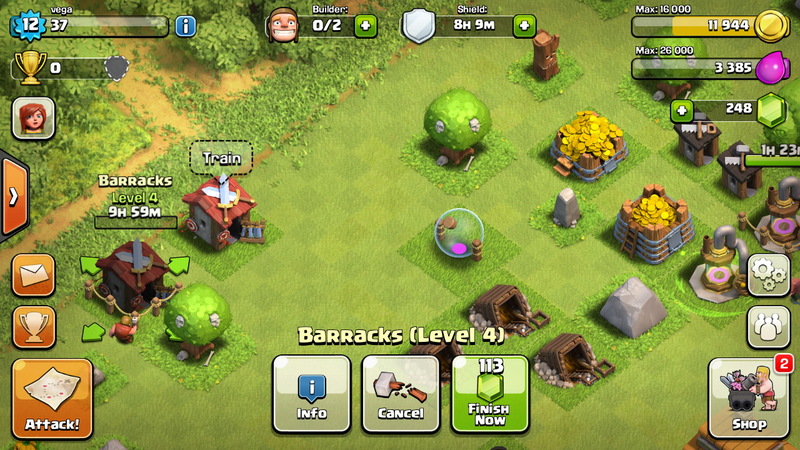 You also spruce up your defenses along the way to protect yourself from being attacked by other clans. 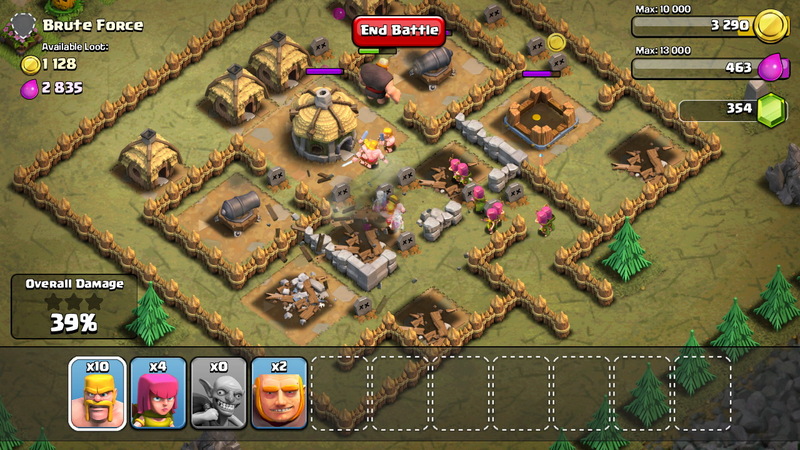 So while you prepare to attack, you also build up your defenses by strategically placing bombs, mortars, canons, and walls to fortify your clan-dom. It’s a never ending yet exciting job you love to indulge in, except that your progress is severely hampered quite early in the game. That’s because while your initial wait for the completion of a task takes a few minutes, it soon stretches into a few hours and then seems to last forever. 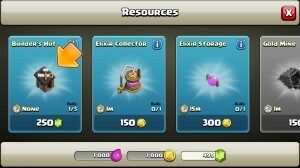 Gems help speed up the job, but since you cannot harvest them and earning them takes forever and a day, you find yourself peeping into the Store to see if you can just pop in a few quid to pick up those much needed green shiny evil ones. And then begins the struggle to stay away from spending more. Because no matter how much money you spend on these babies, you can’t seem to hold on to them for long. And before you know it, you’ve either spent way too much money than you thought you would, or you just resigned yourself to a game of wait and watch. Both options are an unnatural way of playing a game, even if its one as good as this. 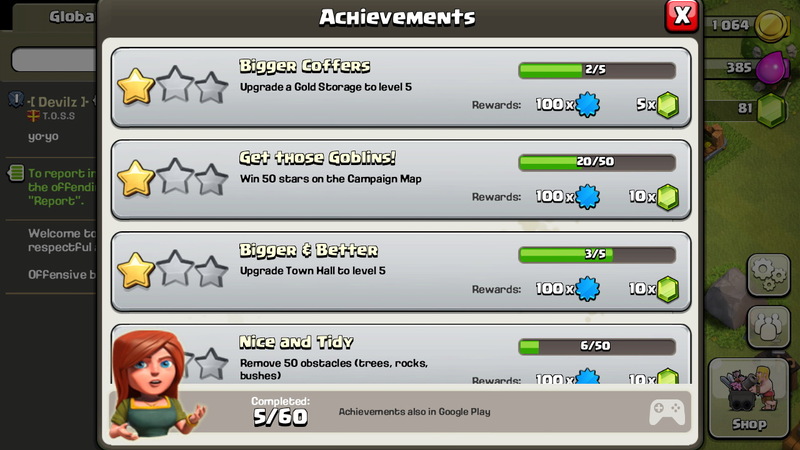 I don’t see how anyone can be motivated to come back to a game that makes you wait 24 hours to upgrade your Town Hall from Level 3 to Level 4 or spend 259 gems (just under $4) to get that job done right away. Once you accept the fact that things are going to crawl at snail’s pace, you can spend your wait time engaging in some brilliant battle play. For solo players, there are different preset maps to tackle. You simply select your heroes and tap on a specific spot on the map to attack. Each hero class carries its own skills and abilities, so you can decide your battle strategy accordingly. 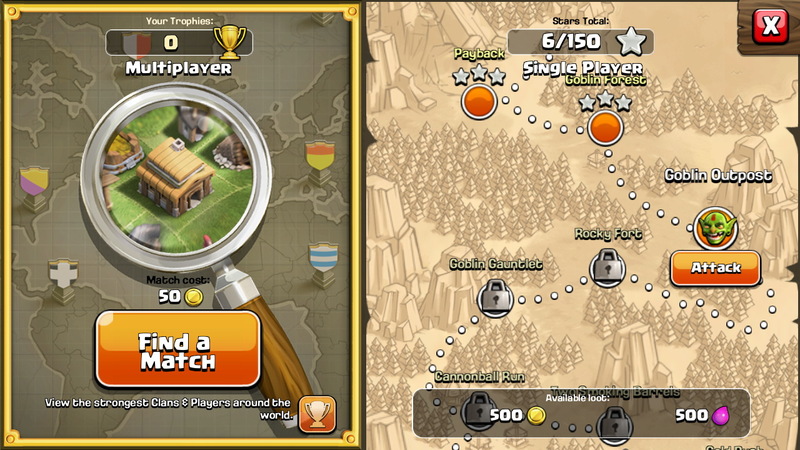 Single Player Mode is good but the real charm of CoC lies in its multiplayer battles. This is where you put your mind to work. You explore villages set up by other real world players, chalk out your best plan of attack, and then go in for the kill. Things get super exciting at this stage because you’re not only dealing with stiff challenges from real-world players, you also have to beat them within a set time frame (lasting a minute or two) to take home gold, elixir, and victory points (trophies). When you earn 400 such trophies you become the elite member of a league of clans, which gives you exclusive privileges such as a special loot bonus on winning. 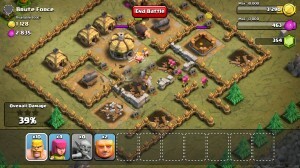 Supercell may have hit upon a clever strategy to distract frustrated players with a handy chat window on the left that lets you engage with players worldwide. 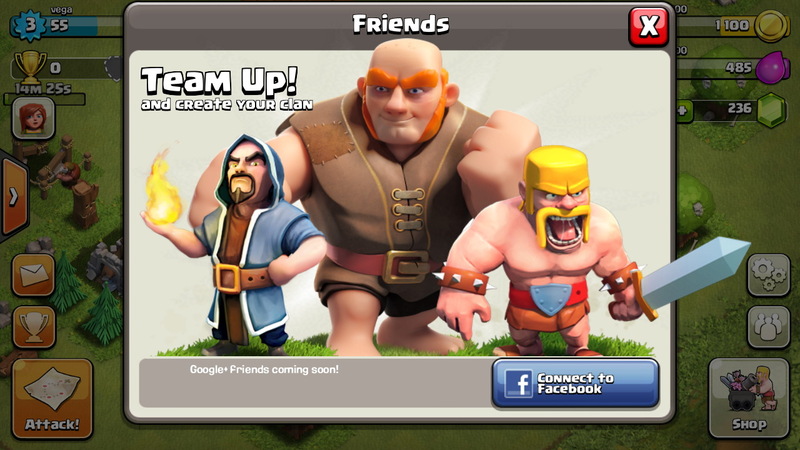 You can also go deep into their profiles, visit their villages, view their clan, engage in some social mentoring, or even talk about football, if you like. CoC could be lauded for its brilliant mix of single player and multiplayer elements, hero classes, achievements board, and social gaming goodness, but it appears to have landed on the Play Store at a time when there are games far more polished and engaging. 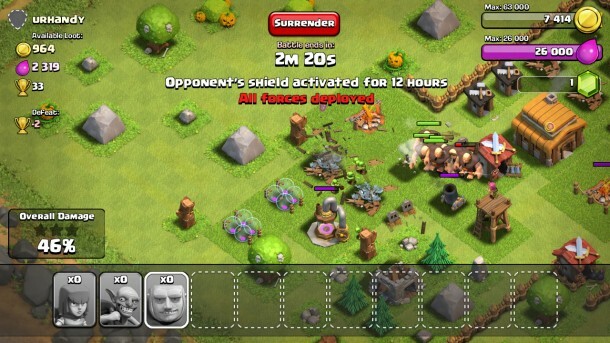 A simple case in point, Castle Clash. 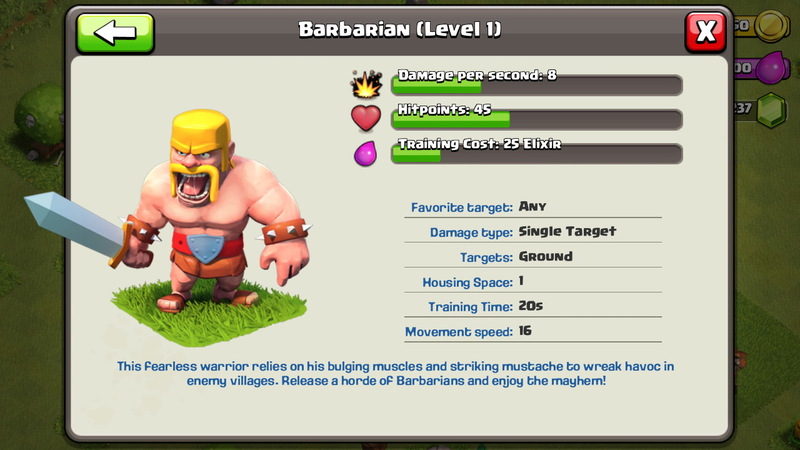 CoC has taken a great concept but suffocated it with a play system designed to fill up its coffers, rather than focus towards player enjoyment and satisfaction. The biggest letdown for fans of the genre is that even quite early in the game, there isn’t much to do. It’s simply no fun if you have to return to the game after an hour or two just to make one single move. Your gems should at least take you through a lot, but it doesn’t. In a highly competitive mobile gaming market that churns plenty of games that instantly capture players’ imagination, its hard to stay loyal to one that strangles the sheer joy out of you. 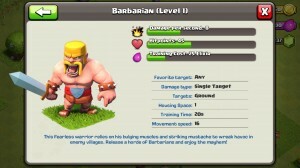 A game as brilliant as CoC should indulge players a lot more than it actually does. 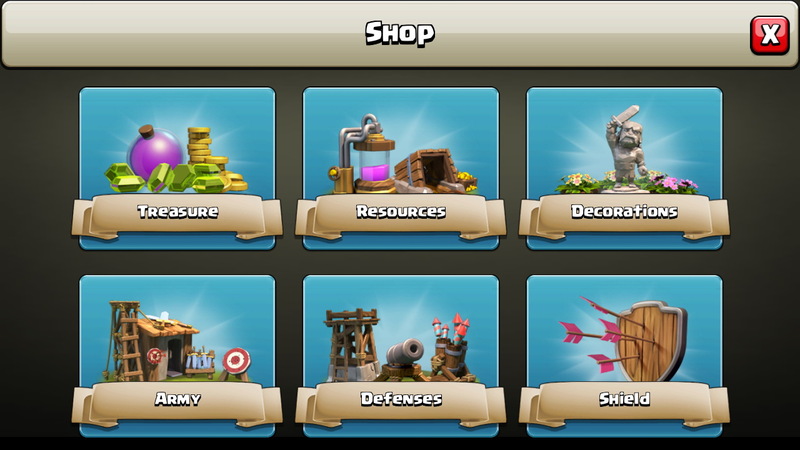 Supercell fails to bring about a fine balance between gameplay and IAPs making players more dependent on shelling out money just to extract a few hours of entertainment. With such an overwheming case against the game, other not-so-important issues such as high battery consumption, online requirement to play even in solo mode, less than great background music, and unnecessary movement of objects when you accidentally move your hands across the screen seem redundant. 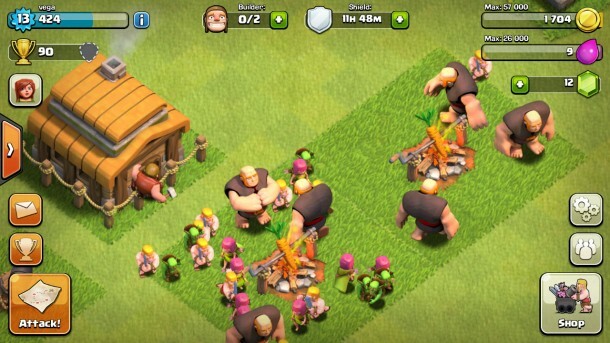 Clash of Clans may be a great game for anyone who is interested in some casual play with no care one way or another about becoming a ruthless plunderer of realms. But for the rest, this game simply fails to give the wholesome satisfaction that many others in the genre offer quite generously. 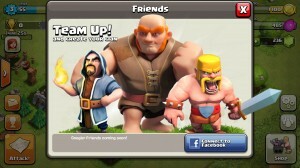 Clash of Clans Gets Another Update! 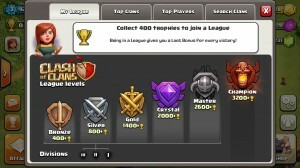 Better Clan Management and More! 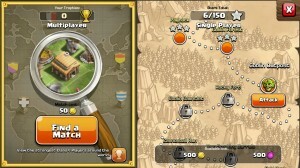 I played this game with Castle Clash simultaneously and i can say thet Clash of Clans build time is much longer. Other than that great gameplay and graphics.